The Israeli officials who gathered at West Jerusalem’s Inbal Hotel on June 21, 2008 had an idea to float: some Palestinian villages who sit partially in Israeli territory would be given to a future Palestinian state. Palestinians with citizenship would no longer be residents of Israel; they would be transferred to the new state. The plan, part of an imagined future peace deal discussed during the Annapolis negotiations while George W. Bush was U.S. president, never came to fruition. But more than five years later, the idea of swapping Arab villages into a Palestinian state in exchange for Israel annexing West Bank settlements continues to rear its head. It’s a plan that would bolster one of Israel’s central objectives: strengthen its Jewish majority by getting rid of thousands of non-Jewish citizens and holding onto large illegal settlements, which in turn would increase the amount of Israeli Jews. 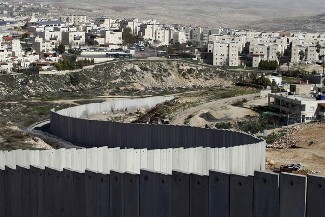 The Israeli news outlet Maariv reported January 1st that Israeli negotiators had proposed giving a Palestinian state parts of the geographic area known as the Triangle–which encompasses Palestinian villages like Umm al-Fahm and Taibeh. 300,000 Palestinian citizens of Israel live in the Triangle. In exchange for ceding the Triangle, Israel would annex the settlement blocs, which refer to major Israeli settlements like Ariel and Ma’ale Adumim. According to news reports, the plan, which has only been discussed with American officials, did not detail what would happen to the Palestinians’ citizenship. But past remarks from top Israeli officials indicate that citizenship would be stripped. Palestinians would be transferred to a new state against their will. Avigdor Lieberman, Israel’s right-wing Foreign Minister, has long been the key figure associated with population and land transfers. Under the “Lieberman Plan,” the Triangle would be given to the Palestinian Authority (PA). 25,000 Arabs would be stripped of their Israeli citizenship and forced to live under PA rule. Lieberman’s not the only one pushing the plan, which has been derided and rejected by Palestinian citizens of Israel. It’s an idea that has been pushed by the likes of Tzipi Livni, the current Israeli Justice Minister frequently labeled a moderate in the American media. The plan was also harshly criticized by Palestinian Knesset members. ”This is a bizarre offer which treats Arab citizens as a chess piece that one can move around and change,” Knesset member Ahmed Tibi reportedly told Maariv.